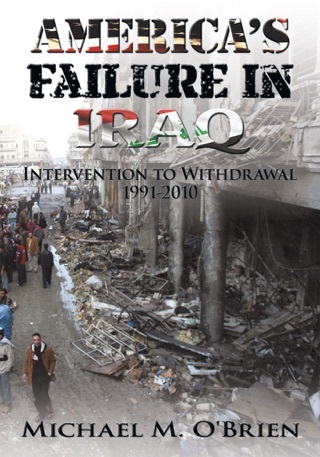 America's Destruction of Iraq by Washington insider Michael M. O'Brien details the origins of radical Islamic terrorism now spreading across the Middle East and North Africa. The outgrowth of America's involvement in Iraq, culminating with its March 2003 invasion, is the Islamic State–the most violent terrorist organization in history. Michael O'Brien is an outlier: a conservative and former political appointee in the administration of George W. Bush, with an abiding contempt for the political and military mismanagement of the Iraq War, officially referred to as Operation Iraqi Freedom. A graduate of West Point and former Infantry officer, and a former U.S. government Contracting Officer, O'Brien saw the effects of the Iraq invasion from the inside out–not as a soldier but as a contractor advising the new Iraqi Army and Ministry of Defense on its physical infrastructure, including the acquisition of land and Forward Operating Bases (FOBs) originally built for Coalition forces. Compounding in outrage, compelling in detail, Michael O'Brien condemns the waste of tens of billions of U.S. taxpayer dollars, and the needless loss of American and Iraqi lives. The Bush administration's desire for war was built on fabricated intelligence and the political agendas of a handful of senior officials. But it is the senior American military for whom O'Brien has his greatest disdain. They should have known how to properly execute the invasion of Iraq in March 2003, and the courage to tell their political superiors what it would take to succeed, come what may to their careers. America's Destruction of Iraq is a detailed exposé of the "military-industrial complex" President Eisenhower warned America of in 1961. 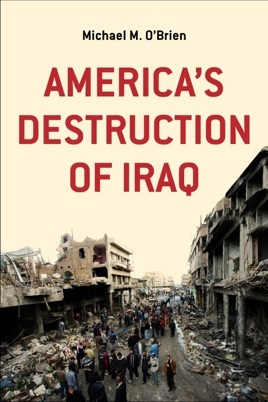 Only someone with Michael O'Brien's background and experience, who was at the heart of America's so-called 'reconstruction' of Iraq, can accurately describe America's intervention in Iraq for what it is: a disaster in magnitude equal to the quagmire of the Vietnam War.